a complete natural care & styling range! Plant derived natural & organic haircare formulas. Ready to order? Have a few questions? 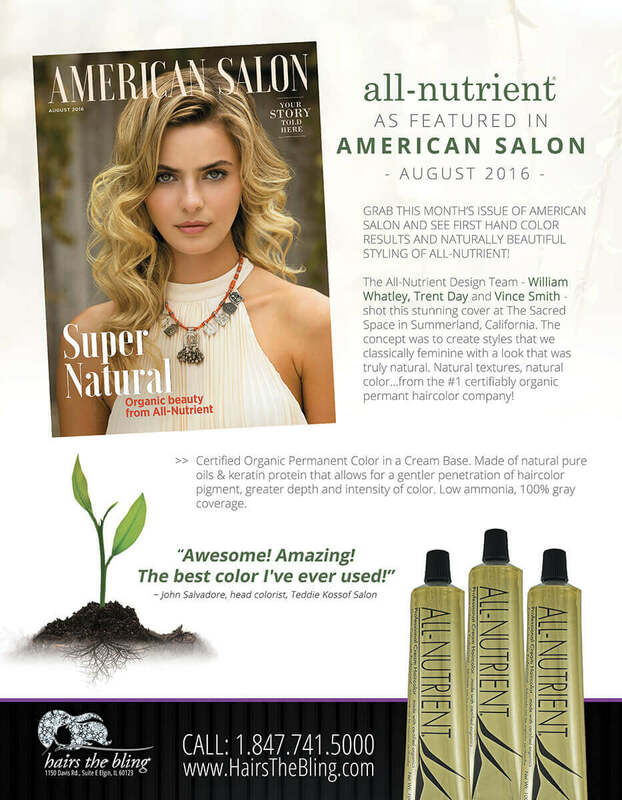 Take the next step and All-Nutrient Care & Styling Products could be at your door in just a few days! 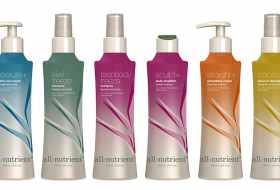 what we love...about All-Nutrient Retail Products! They use sustainable chemistry and green solutions found in nature to care for and style hair. 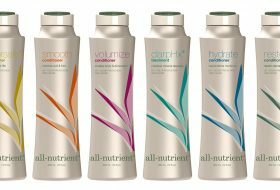 A complete range of shampoos & conditioners for any hair type, any hair challenge...AND styling & finishing products. Plant derived natural & organic haircare formulas provide gentle cleansing & conditioning on any hair type to tackle any hair challenge. UV & color protection formulas are 100% vegan, sulfate-free. amine-free, DEA-free. MEA-free, betaine-free, EDTA-free, paraben-free, gluten-free, & cruelty-free. 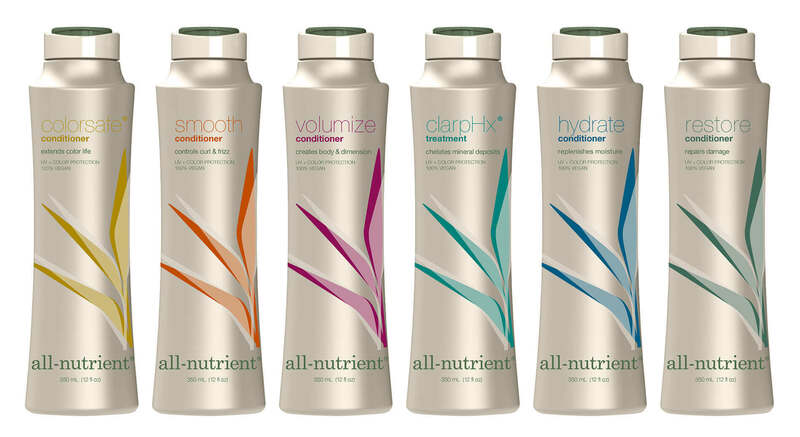 Styling products created with earth-friendly technology that nourishes, protects, and revitalizes hair. Made with natural and organic ingredients. 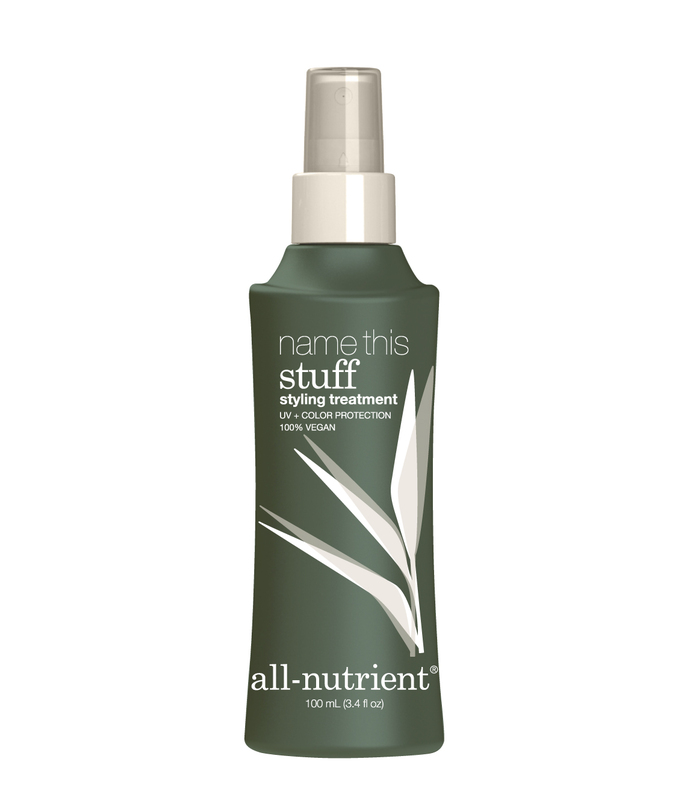 Incorporates fatty acids and vitamins, to proteins and minerals, every styling products is formulated with ingredients that enhance nutrient delivery to the roots, preventing age in hair.